The products on the market today are diverse, from the real-deals to countless imitations. Be sure to check out all of the products and trends you like before choosing your favourite. Take your budget into consideration and take the time to understand the advantages and disadvantages of each material; you’ll be sure to be happy with your selection for years to come. When it comes to flooring materials in the kitchen, your choices are not limited. Each boasts its own advantages, but unfortunately the good always comes with some sort of bad. Weigh your options and find out which floor is best for you. Wood is timeless and classic, never going out of style. When properly maintained, solid wood floors can last a lifetime—even in the kitchen. The heavy traffic will create a beautiful patina over time, but remember that the floors can always be sanded and refinished again to look like new. Wood caters to many styles with the diverse species available for flooring as well as installation patterns. From light maple to exotic ipe and skinny planks to intricate designs, there is a wide variety of choices and patterns for every taste. Wood floors bring a sense of warmth and charm to a space while feeling lovely underfoot. Solid wood floors are a classic that won’t soon need replacing. Moisture, from leaks behind the refrigerator to spills on the floor, can do serious damage if not quickly taken care of. Some wood species dent or scratch easily, needing refinishing. Wood floors fall somewhere between cork and concrete on the shock-absorbing scale—different woods have different densities. 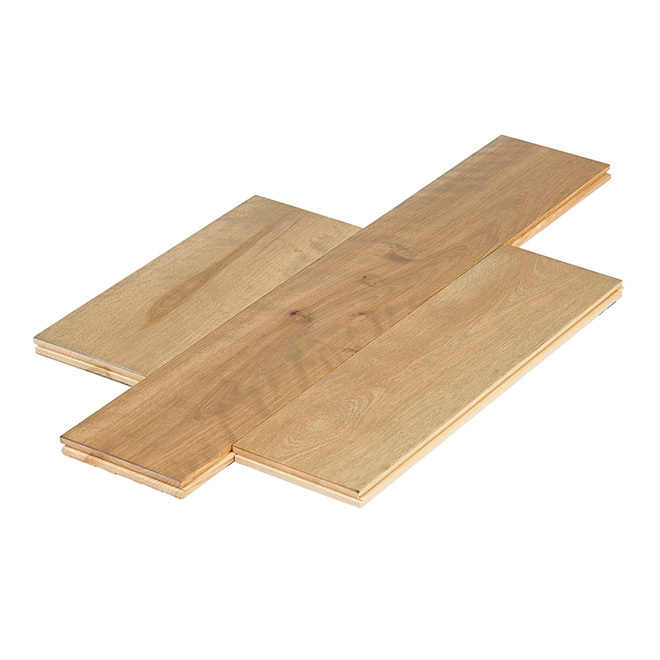 Laminated flooring is made of layers of engineered material glued together. The top layer is often a thin veneer of wood. Veneers are available in different thicknesses, allowing you to refinish the surface. The thicker the veneer, the costlier the material. 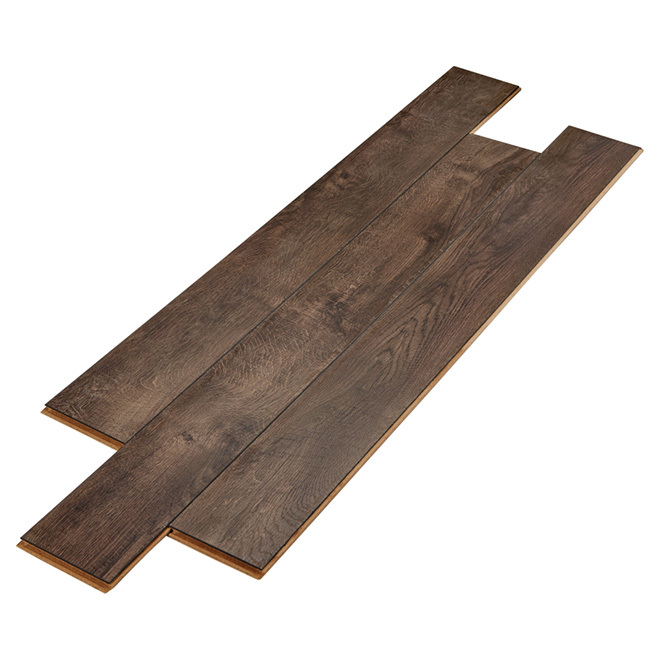 Sometimes closely resembles the look of real wood or tile without the hefty price tag. Installing is easy, so you’ll not only save on the cost of material, but also on the installation. In fact, many homeowners simply DIY. Maintenance and clean-up is a breeze—sweep and/or mop. Laminate doesn’t scuff or scratch making it a great addition to kitchens with extreme use or destructive children and pets. Though the look closely resembles the real-deal, the overall feel of the floors will not. Some say these floors feel hollow, and noise levels on them are often high. If you’ve chosen a thin veneer on top, you likely won’t have enough wood to sand down and refinish—sadly, when the floors show signs of wear and tear, they will need to be completely replaced. Ceramic tile is often the kitchen flooring go-to. Its advantages paired with limitless options—size, color, shape, pattern and even texture—makes it a great choice for any style. Durability and longevity coupled with a slim price tag make this material a homeowner favorite. Spills, foot traffic, pets and more couldn’t destroy these floors if they tried. Clean-up is simple—mop, vacuum or sweep as the situation calls for it. 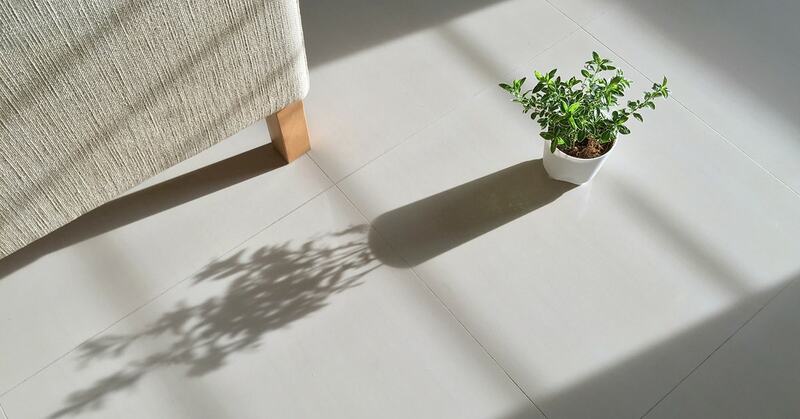 In older homes, the grout lines and even the tiles themselves can crack if the subfloors settle. Tile is not forgiving in the slightest—if you drop a dish, it’s a goner. Standing on the hard surface for long periods of time may become uncomfortable, and if you’re in bare feet it will be cold. Liquids will make the floor ultra-slippery. Grout lines are often difficult to keep clean, but periodic deep cleaning and sealing will help. Natural stones have been used as flooring for centuries, especially in the kitchen. 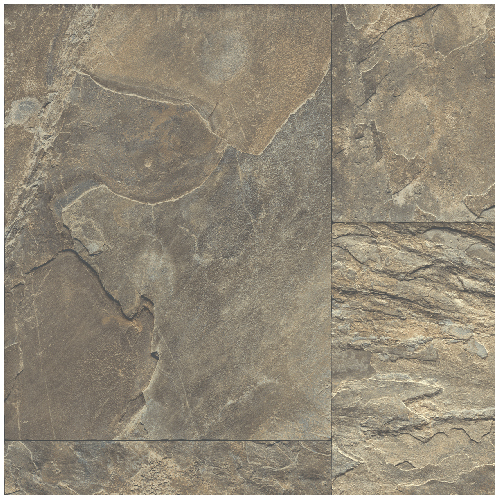 Slate, marble, limestone and travertine are popular, but there are many options when it comes to stone. This material lends the kitchen an elegant foundation, and the rich variation from piece to piece—no two cuts of stone are identical—is a beautiful feature that other materials can’t imitate properly. Cleanup is simple—much like that of ceramic tile but depending on the installation; you might not have the grout lines to deal with. Colors, styles and installation patterns are extremely diverse: you’re sure to find a stone to coordinate with the style of your kitchen. Though the beauty is extraordinary, so is the price tag. Textured surfaces become a little more difficult to keep clean as food and grime can get stuck in the crevices. Rock hard, literally, you won’t want to stand long on natural stone without a rug or mat; and, like ceramic tile, if you drop a plate or cup, you might as well say good-bye. Installation is difficult and meticulous, not for the DIY-er. The layers in slate sometimes peel with age, soft stones can chip or scratch and porous stones will need to be protected with the occasional sealer. Vinyl is no longer the cheap, tacky flooring material it used to be. Chic finishes and designs are now available with the option of using wide sheets or individual tiles. Vinyl often imitates other materials—tile, stone, wood—quite well, actually. Price is its main advantage. Get the similar look of other materials at a significantly reduced price. Installation is easy, this is a project you could tackle (saving money yet again!). Clean up is quick and simple, but keep in mind that textured vinyl will harbor some dirt. Unlike the other dense flooring materials, vinyl is actually quite comfortable to stand on. Though the price is right, the durability is not. Expect your floors to wear away after only five years. Dirt and other contaminants can make tiny scratches in the surfaces, dulling its finish over time. Vinyl does tear, so if you drop a knife you’ll likely do some damage. It can also fade in the sunlight and even curl, dent and bubble as it ages. Overall, durability is not its strong suit. Linoleum is not to be confused with vinyl—their materials and construction are distinctly different. Linoleum is making its way back to the fore-front of the market as eco-friendly consumers are realizing its benefits. This flooring substrate is all-natural: linseed oil, wood flour, resins and other natural materials comprise it. Versatility is linoleum’s claim to fame. Available in every hue under the sun to unique installation patterns, you can accomplish nearly any look with linoleum. The price is affordable, the material is durable and the maintenance is simple. Though installation patterns are limitless, they can be tricky so you’ll have to call in the professionals. Though durable, linoleum can fade and show signs of wear over the years. A protective coating is often applied to the surface at the manufacturing facility—if you opt for no protective coating, the floors will likely require waxing and polishing. Cork is a natural product that is sustainably harvested. 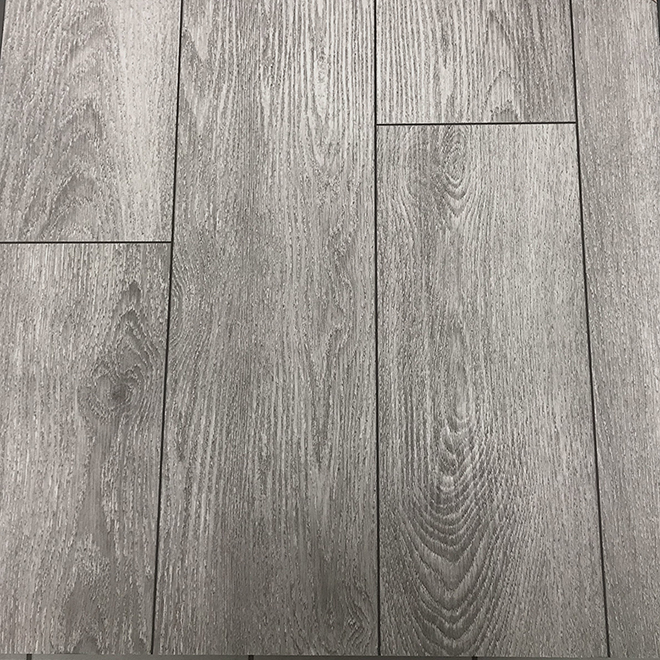 In fact, the material used for flooring comes from the bark of the tree that is simply trimmed back from the tree, leaving the trees and forests undamaged. Eco-friendly consumers can’t get enough of this product. It wasn’t until recent years that cork was available in different shades. Now, you can have cork floors in a variety of tints and even patterns. Floating floors—which are laid right over existing floors—are available as well. Cork softens the sounds of the kitchen, bringing a cozy feeling to the space. This flooring holds temperature well, getting neither hot nor cold. Its natural substance called suberin resists mildew, rot, mold and pests! Cork may need occasional resealing with wax or polyurethane to keep it protected. Floors should stay free of dirt to keep from damaging and scarring the surface. Small tears are fine and will heal, but major gashes may prove difficult to repair. Signs of wear and fading eventually begin to show. Much to everyone’s surprise, bamboo is not wood; it is a grass. Eco-conscious consumers love it because it is a product that grows extremely quickly, ensuring the earth’s resources will not be depleted. Bamboo has become increasingly popular in recent years due to its durability, affordability and sustainability. It has beautiful, variegated patterns throughout, and it brings a fresh and somewhat modern edge to any kitchen. It requires virtually no maintenance and is more comfortable underfoot than wood. Bamboo isn’t completely moisture resistant and may warp in humid conditions. Styles are not as diverse as other woods, as there are only so many shades and widths of planks of bamboo. 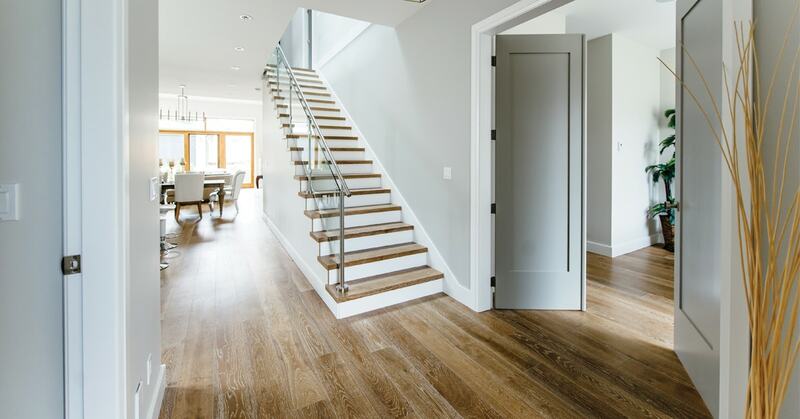 More importantly, bamboo is often imported from countries whose regulations are not as strict as in North America—ensure you trust your source before installing these floors. With the explosion of the industrial-chic style came the transformation of concrete floors. What used to only be seen in the basement, garage and beneath other flooring materials suddenly found itself in the spotlight. Staining, texturing, stamping, acid etching, and more, turns the old grey cement we used to know into a stunning, durable flooring material. It doesn’t get much more durable than solid concrete which is basically indestructible. Clean up is a breeze. Styles are unlimited, and can even mimic other materials through the use of faux finishes. Also, concrete is the perfect subfloor, so if you ever want to install tile, carpet or wood overtop, you’re ready to go! Concrete is downright cold come wintertime. It is hard and unforgiving, both on your feet and dropped dishware. If the concrete isn’t already in place, chances are you’ll need professional installation. Because concrete is a porous material, you’ll need to seal it to keep stains at bay. Larger pieces of stone and tiles are popular, as it helps make the space feel larger; rectangular (as opposed to square) pieces of stone and tile are also trendy with tight grout lines. 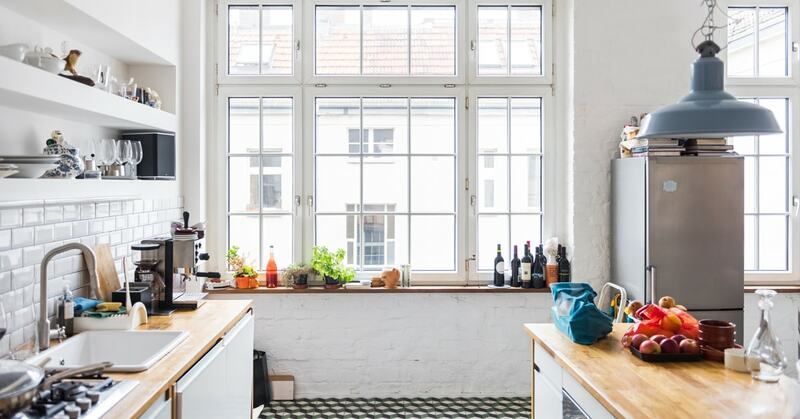 Aside from durability, longevity and even style, there are other considerations to keep in mind when choosing a flooring material for your kitchen. You may love an expensive natural stone, but if you have hundreds and hundreds of square feet, the cost of it might break the bank. Alternatively, if the floor space in the kitchen is quite small, even an expensive flooring material may not impact your budget too much because of the small square footage. The size of the space will determine the size of the flooring material. For instance, scale the size of the ceramic tile to match the size of the space. Whereas smaller tiles will better suit a smaller kitchen (equal to or less than 1' x 1'). Value of the home: It is not a wise investment to remodel your home above and beyond its resale value. Take into consideration the value of your home and the likelihood of recovering the money you’ll have invested into certain improvements. For instance, if your home is in a lower value area of town, you may not want to install marble flooring because chances are it will not add to the overall value of the home (meaning you won’t get the money back when you sell!). For lower end homes, stick to inexpensive options such as vinyl, linoleum or an inexpensive tile or wood laminate. Consider your pet(s) when choosing a flooring material. A 120-pound dog may scratch certain soft woods. Alternatively, a concrete floor could withstand nearly any type of indoor pet! Planning renovations also means calculating the quantities of materials you will need. Use our handy calculators for ceramic and linoleum to make your estimate. Renovating the kitchen: where to start?